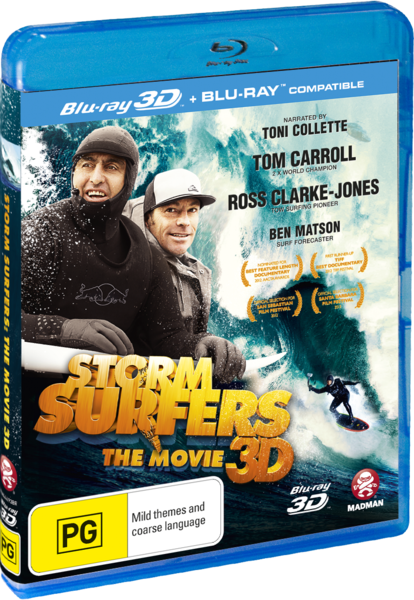 Storm Surfers 3D The Movie Blu-ray Review Storm Surfers 3D is carried far by the use of 3D, creating some incredibly beautiful scenes to watch and become immersed in. Combine these with the likeable personalities of Carroll and Clark-Jones and you’ve got yourself a fun little package to enjoy. 6ixty Foot Films and Madman Entertainment bring us Storm Surfers 3D, a documentary following the adventures of renowned Australian veteran surfers Tom Carroll and Ross Clarke-Jones as they attempt to surf and conquer some of the biggest waves seen along the Australian coast. Shot entirely using 3D technology, this highly ambitious film is quite an entertaining experience regardless of one’s knowledge or interest in the world of surfing. Tom Carroll and Ross-Clarke Jones are getting old, but their love for surfing is still young at heart. 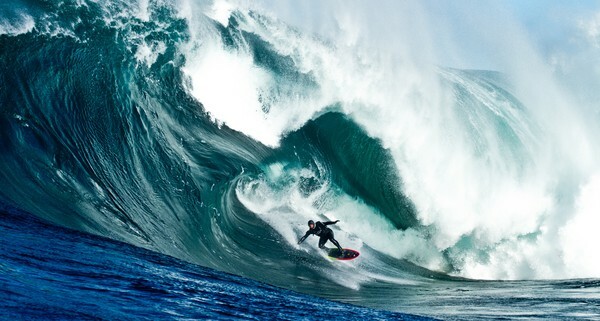 Now a father of three, Carroll has eased up on the sport, yet still finds a joy out of tackling big waves on a regular basis. Clarke-Jones however, may have aged on the outside, but is still the exact same party boy that he was in his prime in the 1980s. The two of them have a similar sense of humour which adds a certain charm a light heartedness to the film that is rarely seen in documentaries in a similar vein. 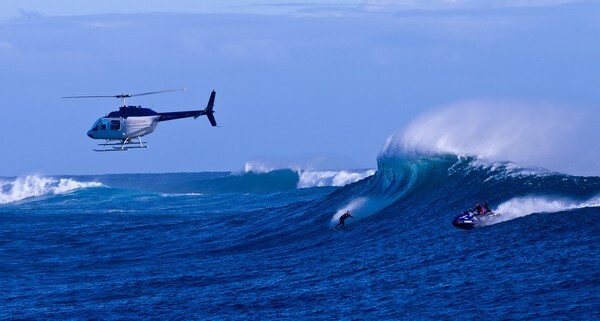 Storm Surfers 3D fully embraces the new (yet quickly aging) 3D technology so widely used in today’s film industry. As this is a documentary, it is fair for some to be sceptical of the use and purpose of 3D in this situation. After viewing the film, I can say that this is some of the most effective use of this technology seen since that of James Cameron’s Avatar. As Carroll and Clarke-Jones surf through the massive pipes, you feel like you’re right there with them, and the added layer of depth makes the already humongous waves feel even bigger, especially if viewed on the big screen. There was one major issue with the 3D that was hard to ignore. As you would expect with this film, there is going to be some water getting hurled at the camera over and over again. This was extremely disorientating at times, and the remaining water left on the camera resulted in some scenes looking blurry, making it hard to find a focus point. Aside from that, the 3D is used quite well and the editing of scenes is tight. The film includes some short animated scenes, in which Carroll and Clark-Jones reflect on their childhood, but they just don’t work at all, breaking up the film’s pacing unnecessarily. Fortunately they are only used on two or three occasions. The film can feel quite repetitive at times, but there’s only so much you can show in a surfing documentary, that being surfing and people talking about surfing. I found it hard to find a clear structure in the story it was presenting; the climax of the film is introduced about 15 minutes before the end with little build up throughout the rest of the film. Storm Surfers is enjoyable nonetheless, but if you’re looking for any major shocks throughout then you might be disappointed. Storm Surfers 3D is carried far by the use of 3D, creating some incredibly beautiful scenes to watch and become immersed in. Combine these with the likeable personalities of Carroll and Clark-Jones and you’ve got yourself a fun little package to enjoy. Apart from a lack of depth and pacing issues, there are enough thrills included to justify seeing it.